It doesn’t matter who you are, where you’re from, or how many legs you have: Disney characters have a way of melting hearts and it turns out that that is even true for dogs. 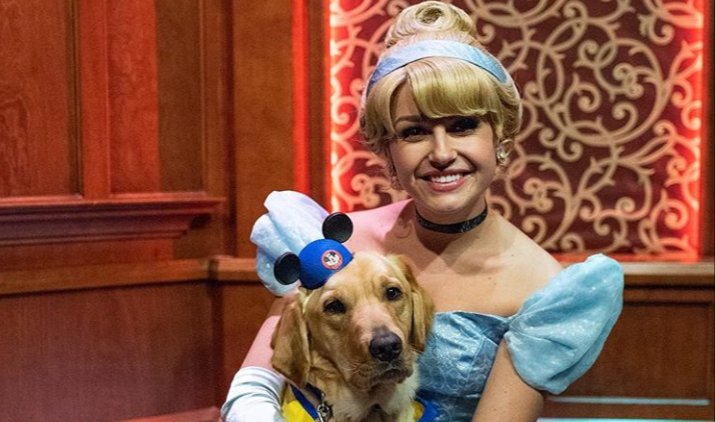 Elijah, a service dog-in-training, met his favorite Disney princess Cinderella at Disneyland recently, and his excitement couldn’t be contained. Like any true fan, he jumped right into her lap. I can’t say I haven’t had the same urge to hug Chewbacca. He’s like a giant teddy bear! Once in her arms, the ultimate snuggling session began, and the rest as they, is history.